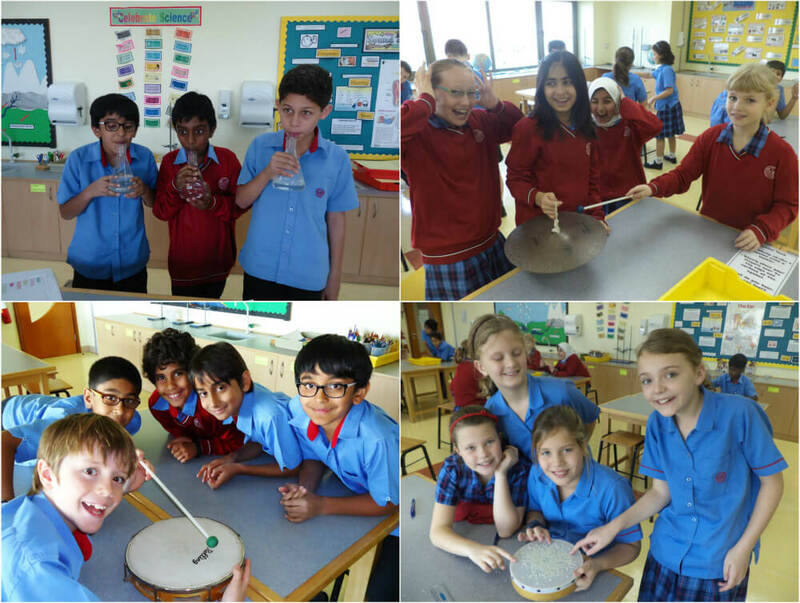 Year 5 students thoroughly enjoyed making noise and exploring sound vibrations during the ‘Changing Sounds’ unit of study. Although their teachers may have a different opinion on this! Lots of banging, hitting and general noise making ensued. Children learn best when engaged in practical experiences and this was certainly the case when 150 Year 5 pupils were let loose in the science lab! “The children were really engaged and learning so much. There was a real learning buzz”, Mrs Holness. 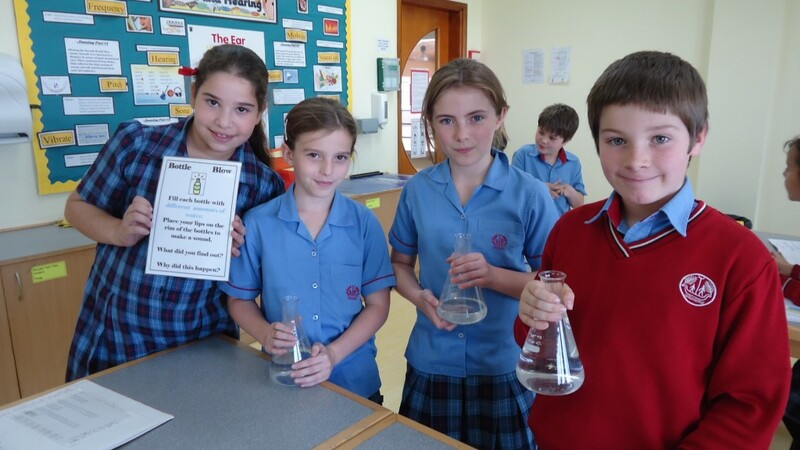 “My favourite lesson during this unit was when we actually saw and heard sound vibrations moving through materials, like liquids.” Charlotte, 5F. Heidi in 5D said “I really enjoyed when we investigated different sounds”.